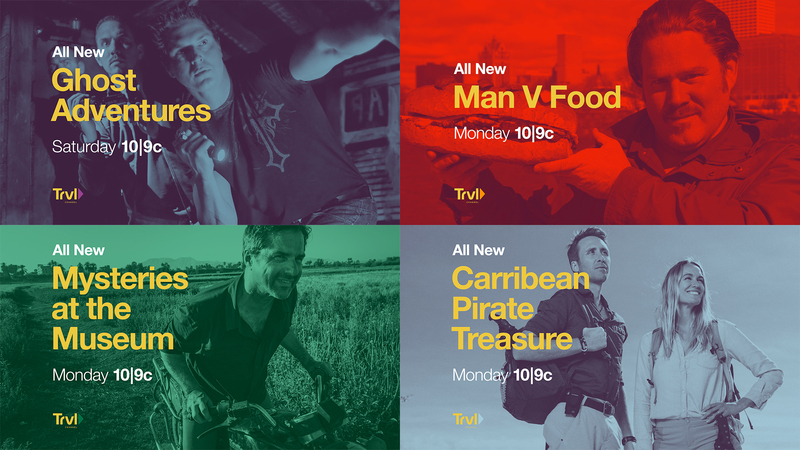 This summer, Travel Channel commissioned their first major rebrand in almost a decade. Complimenting a major shift in programming and strategy, Travel's new brand vision broadens their reach beyond traditional “travelogue” content. In the past, the network was predicated on little person/big landscapes. The new vision shifts the network focus to story-driven programming, including the realms of paranormal, food and history content. 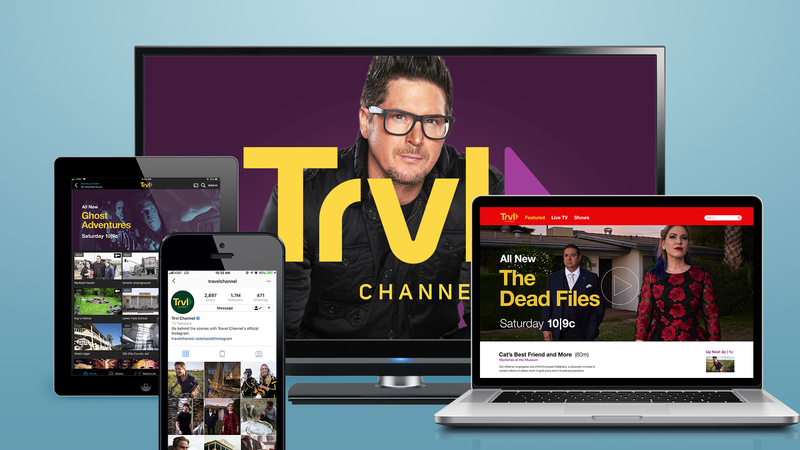 And with the recent acquisition by Discovery Communications, Travel’s distribution was about to increase exponentially across the world, calling for a brand that felt truly global. We set out to create a new visual identity for Travel Channel that both stretches beyond their previous parameters and unifies the new look across every platform and medium. We first focused on a new logo mark to anchor the brand into the future. 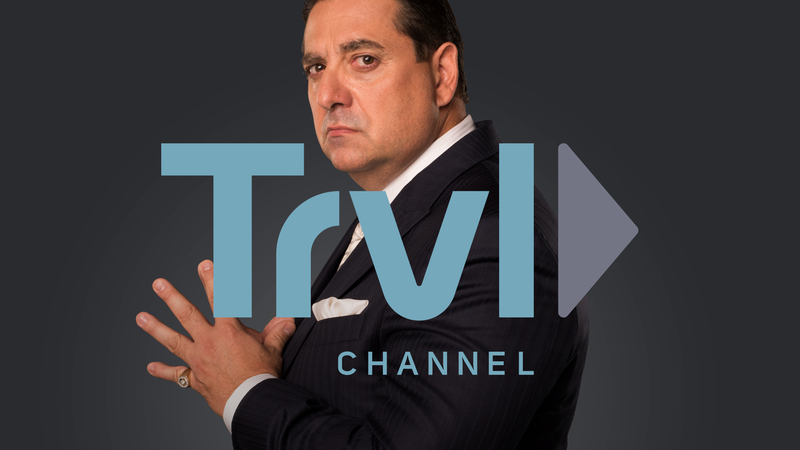 We took a big swing by proposing TRAVEL become TRVL, essentially changing the network’s name! Not only would it reflect the network’s shifting programming, it would also provide a fresh, modern and snackable read across all screens. The network jumped immediately on board, ready to take that leap with us. Next, we moved into developing various color palettes, choosing hues to match the diverse facets of their programming, and building out a brand package that would give them flexibility across the ever-changing digital landscape. Launched during the high profile Ghostober month of programming, the robust rebrand package launched TRVL’s journey into a whole new era. Travel is a universal word and concept. Removing the vowels was a short, bold, quick read that is ownable in this entertainment space. It’s modern, practical and just flat-out cool. 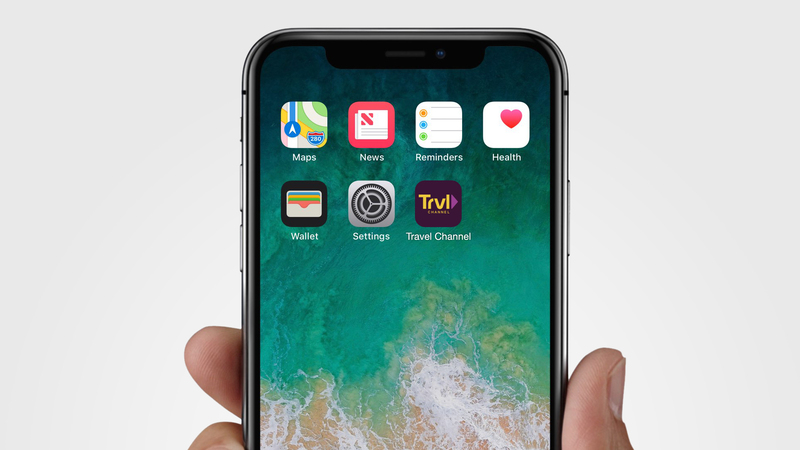 TRVL as a wordmark is built for a world where uniqueness, clarity and instant connection are critical. With such a clear, stripped back, simplified design language it was essential that the animation applied gives the brand a distinct personality and playfulness. Every keyframe was meticulously considered. By incorporating the “play button” device, we speak to spontaneity…moving forward by stripping away the unessential. We created a robust yet hyper-efficient system, optimized for seamless implementation for a global network. The new color palette, led by our hero “Purple Haze,” is as bold as TRVL’s programming, and stands out in the clutter.